Outdoor ad man Ted Carroll has developed a new, targeted billboard advertising medium that requires no long term contracts. Ooh Media's Mobile Billboard advertising can be purchased in daily, weekly and long term packages to fit your needs. 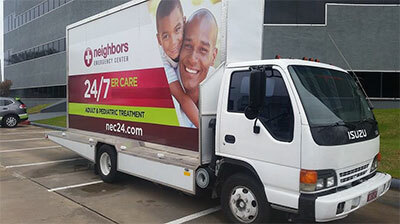 Each Mobile Billboard truck has two standard 10' x 22' billboards and one 10' x 2' rear panel. Advertisers can target specific routes and areas in Spokane, Coeur d'Alene, Tri-Cities, Missoula and other markets. 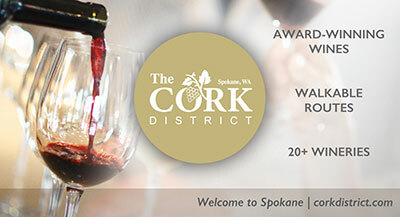 For more information contact Ted Carroll at 509-951-8305 or ted@oohmediaspokane.com. Certain times in our lives call for a special celebration. Whether you are planning a bar/bat mitzvah, celebration of life, holiday party, anniversary, company party, high school or college prom, birthday party, or just celebrating, The Art Spirit Gallery at 415 Sherman in downtown Coeur d'Alene, can help you plan the special occasion to be remembered for a lifetime. The gallery consists of two beautiful levels featuring gorgeous hickory wood floors, intimate lighting and well a designed layout. The walls display spectacularly unique artwork by regional and internationally known artists. The Art Spirit staff can assist you in your planning with a variety of preferred vendors to choose from so that you can provide your guests with delicious meals, great music and even a specialty cocktail to commemorate the occasion. 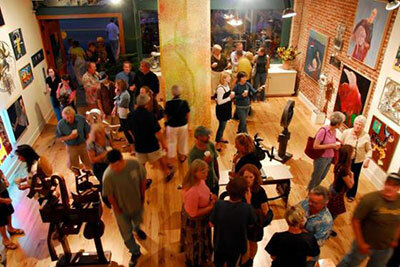 Book your next event at The Art Spirit Gallery. Contact them at 208-765-6006. 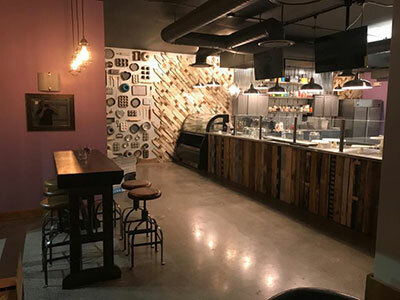 The Mascot Pizza, a new locally owned and operated pizza restaurant is set to open by the end of this month at 730 N. Columbus, near the corner of Hamilton and Trent. In addition to to-go pizzas, they will have a dine-in area. A full bar is also planned. 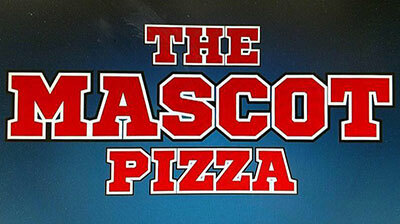 The Mascot will serve a wide variety of pizzas, salads, and sandwiches as well as espresso and coffee drinks. You can get more information on facebook under The Mascot Pizza. H&M, which stands for Hennes & Mauritz, is a Stockholm, Sweden-based clothing retailer opening their second store in the Spokane area at Northtown Mall on November 16. Their first store in Spokane Valley opened in 2012 in Spokane Valley Mall. H&M specializes in trendy 'fast fashion' items for men, women and teens, with over 4,000 stores in 62 countries around the world. 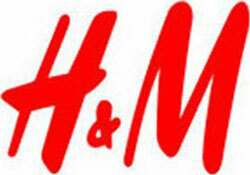 For more information on H&M go to hm.com. Healing Spokane is a group of passionate healthcare professionals joining forces to bring 7 different viewpoints while finding common ground and putting it all together. There will be an informative discussion on using a collaborative approach to treating depression and anxiety. The free to the public event is Tuesday, November 14 from 6-7:30pm at EWU Spokane Campus 668 N. Riverpoint Blvd-EWU Center Building, Auditorium, Room 122. (Parking allowed in 'Orange Permit 1' lot using pay-display kiosk). Renu Sinha, MD will moderate the panel of speakers including: Mary Bergum, MD Family Medicine; Sean Smitham, PhD Psychotherapy; Alycia Policani, ND Naturopathy; Angela Pham, MS, RDN Integrative Nutrition; Sherry Wu, MD, L.Ac Chinese Medicine/Acupuncture; Renu Sinha, MD Ayurveda; and Anna Molgard, E-RYT Yoga and Meditation. 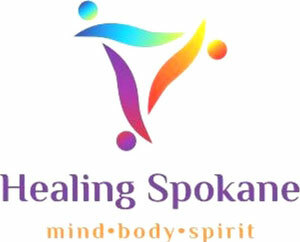 For more information go to www.healingspokane.org. Lilac City Bakery has opened in the former White Box Cafe location at 1215 N. Ruby. The owners also operate Celebrations Bakery with two locations, one in Spokane Valley and one in the Garland District. Lilac City Bakery has a tempting bakery menu, including a selection of artisan breads, muffins, scones, cinnamon rolls, cupcakes, cake pops, cookies and more all baked fresh. Lilac City Bakery also serves entre-sized salads, panini sandwiches, soups and more. Lilac City Bakery is open 7 days a week, Monday through Saturday 8-8 and Sunday 9-6. You can get more information on facebook at Lilac City Bakery. The phone number is 509-315-4958. This Thursday, November 9, the Southside Community & Senior Center will host a Veteran's Patriotic dinner and no-host bar to honor veterans who served and are now serving our country. The event runs from 5:30-9pm. Veterans eat FREE, dinner is $16 for non-veterans. The evening features Keynote Speaker Deni Ellis, board member of Inland Northwest Honor Flight, Master of Ceremonies is Rudy Lopez, Executive Director of the Washington Veterans Cemetery. Entertainment will be provided by Pages of Harmony Men's Chorus & Barbershop Quartets, and 20 airmen from Fairchild AFB will be serving the tables. This event sells out quickly. RSVP by today, Monday November 6. Tables for 6 or 8 available. 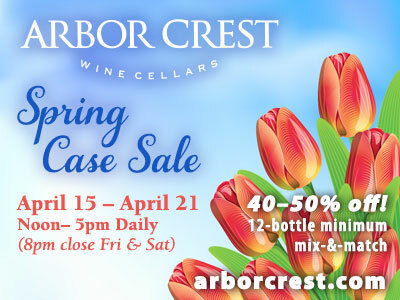 Call 509-535-0803. Southside Community & Senior Center is located at 3151 E 27th on the South Hill. Mayor Steve Widmyer of Coeur d'Alene will speak at ribbon cutting event hosted by SPi CRM Inc. on Wednesday, November 8 from 2-3:30pm at 200 W Hanley Avenue, Coeur d'Alene. SPi CRM, Inc. President & CEO Maulik Parekh will give an overview of the company's expansion in Coeur d'Alene, as well as a timeline for hiring. The company will employ over 500 people providing customer service to consumers in the United States. The event will include speeches, tours of the facility, and an overview of company engagement with community organizations through employee volunteer activities. The facility, (former location of the Sports Authority in the Silver Lake Mall), is a significant section of the Silver Lake Mall in Coeur d'Alene. Work to reconfigure the facility began in early September. SPi CRM is investing $3 million in the expansion to Coeur d'Alene, and is the company's second expansion to the United States, its 12th global location overall, following the opening of the Madison, Wisconsin site in 2013. November is Military Family Month, providing Americans the opportunity to recognize the dedication, sacrifice and service of military personnel and their families. The YMCA of the Inland Northwest supports military families this November and all year though programs and initiatives that improve their well being and provide opportunities to connect with other families waiting at home. Military and Veterans can visit any Spokane area YMCA for a FREE 2-Week Guest Pass November 5-19. Join fees will be waived with membership initiation. Bring Active Military ID, DD214 or Veteran ID Card from the Dept. of Veterans Affairs. Here in the Spokane community the YMCA supports military families by offering memberships through the Military Outreach Initiative. In addition, our YMCA provides a YMCA Corporate Membership discount for military and their families with status: Active Duty, Reserves and National Guard. Currently, more than 175 local families benefit from this program. Visit ymcaspokane.org for more information. The first full Jamba Juice location in Spokane just opened on the second floor of the Spokane Valley Mall. It's not the first in the area, Jamba Juice is also inside Safeway at 2507 W. Wellesley, and in Ironwood Square Shopping Center in Coeur d'Alene. Jamba Juice offers a menu full of delicious, nutritious smoothies, fresh-squeezed juices, energy bowls, vitamin shots, caffeine-free energy boosts and more. 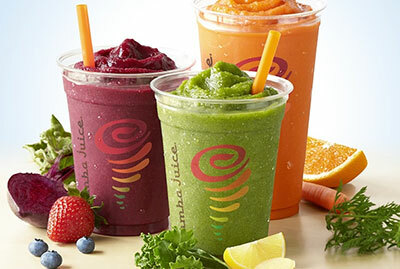 You can check out their menu at jambajuice.com. The Greater Spokane Valley Chamber of Commerce will hold its annual meeting, a celebration of the accomplishments on behalf of the local business community, at a luncheon on Friday, November 17, at the Mirabeau Park Hotel. The Chamber will honor outstanding volunteer leadership and introduce a new slate of officers and board members for the upcoming year. The business community is invited to attend this inspiring celebration and program with a keynote address from Southwest Airlines' Jennifer Ciccarello, Senior Manager in Network Planning. With ten years at Southwest Airlines, Jennifer has experience in Financial Reporting, Financial Planning & Analysis, and Network Planning. She earned a Bachelor's and Master's degree in Accounting from Texas A&M and maintains a CPA license. The West Plains/Airport Area Public Development Authority Board has unanimously selected William Butler and Steve Salvatori to fill the two vacant at-large Board positions. William Butler has been the owner and Chief Executive Officer of WEB Properties, Inc. for 25 years. He also previously served as the General Manager of the Spokane Industrial Park. He has also earned professional credentials to include Real Property Administrator from the Building Owners and Managers Association and is a Certified Commercial Investment Member from the CCIM Institute. Steve Salvatori is an entrepreneur, commercial real estate developer, and has significant experience in both the public and private sectors. His over 30 years of professional experience in sales, marketing and real estate addressed the qualifications sought by the PDA Board His previous experience as a member of the City Council, University District Development Association and Public Development Authority, Spokane Angel Alliance, and Greater Spokane Incorporated's Small Business Council demonstrates his extensive network of contacts, organizational knowledge, and established business relationships.